Bernie Sanders became super rich during the Obama Era. So how an avowed socialist fighting against the corrupt political system get rich? By selling out to the system. Sanders sold out to the Clintons and got millions. And now this socialist sellout continues his hustle. And in typical Leftist fashion, Sanders coins a phrase, as he “intensifies the struggle”. “In 2018, we will not only intensify the struggle against Trumpism, we will increase our efforts to spread the progressive vision in every corner of the land,” Sanders tweeted. Here is a New Year's Resolution I hope you will share with me. In 2018, we will not only intensify the struggle against Trumpism, we will increase our efforts to spread the progressive vision in every corner of the land. Sanders new phrase “intensifies the struggle” provides an appeal to the dying resistance. Sanders claims to want to help the “little people” he and the frauds of the Democratic Party claim to care about. President Trump hands money back to the “little people”, reminding them its their money. Yet, Sanders see this as “the struggle”. I don’t think many taxpayers will complain about getting part of their money back. In fact, President Trump’s promise to get taxpayers their money back is one of the reasons he was elected. Ironically, Trump the billionaire is the poster child for financial planning. The man ran one of the least expensive campaigns in modern history. Hillary Clinton spent double of what Trump spent in her loss. And what of the financial mismanagement of the Democrats that led to Hillary Clinton’s takeover of the DNC? As we learned from Donna Brazile, the DNC was crumbling financially. In the aftermath of the devastating news that Hillary Clinton had cheated him out of a possible nomination, Sanders had an odd reaction. He purchased his third home and a new car. 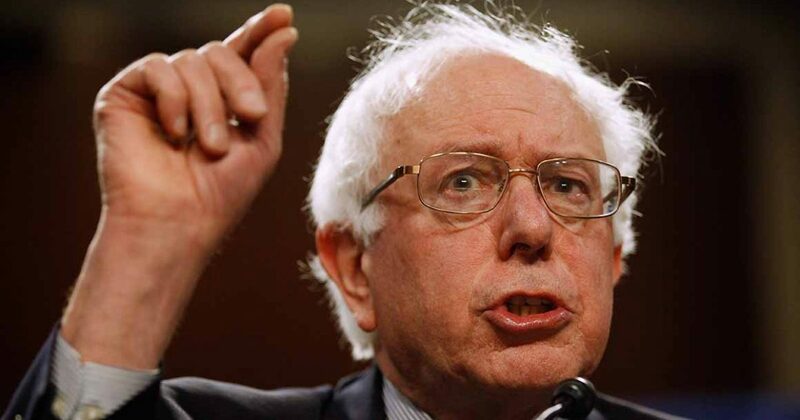 Democratic presidential candidate Bernie Sanders and his wife, Jane O’Meara Sanders, bought a summer house on Vermont’s Lake Champlain Islands, according to multiple reports on Tuesday. The $600,000 beachfront residence in North Hero, Vt., is the newest addition to the couple’s collection of homes in Burlington, Vt., and Washington. Sanders’ presidential campaign is sitting on quite a bit of money. As of July 21, the Federal Election Committee reported $7.8 million cash on hand between his campaign committee and outside groups. Those funds are not eligible for personal expenditures. Thankfully for Sanders, he no longer counts himself among those who have so little. And because of Donald Trump, many more Americans will soon say the same thing. So let Sanders “intensify the struggle”. Because his struggle is not against President Trump, but against his own people. The Democrats and Socialists who believe they know better.